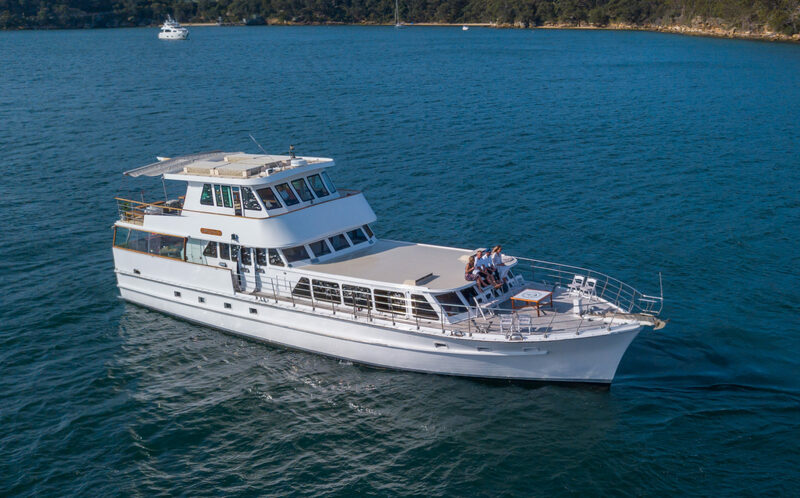 Commissioner 2 is a custom built classic 87ft motor yacht, she oozes fine craftsmanship combined with luxury and modern equipment and facilities. 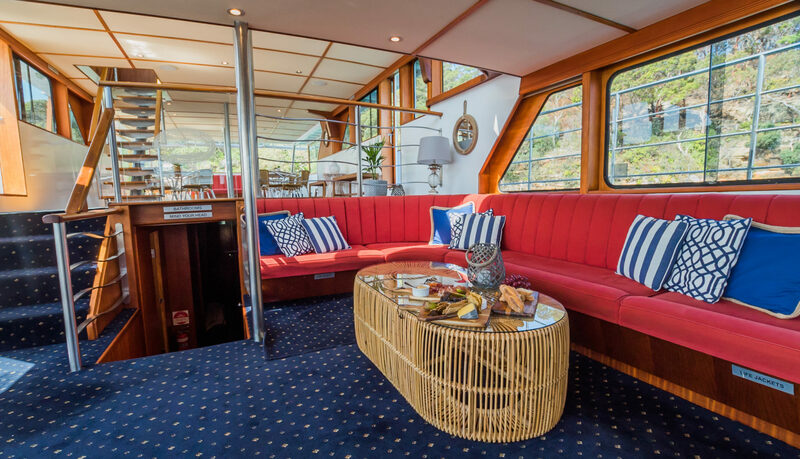 Throughout the vessel you will notice classic wooden paneling which creates a sense of nostalgia from a bygone ear of yachting, combined with her modern coastal touches. 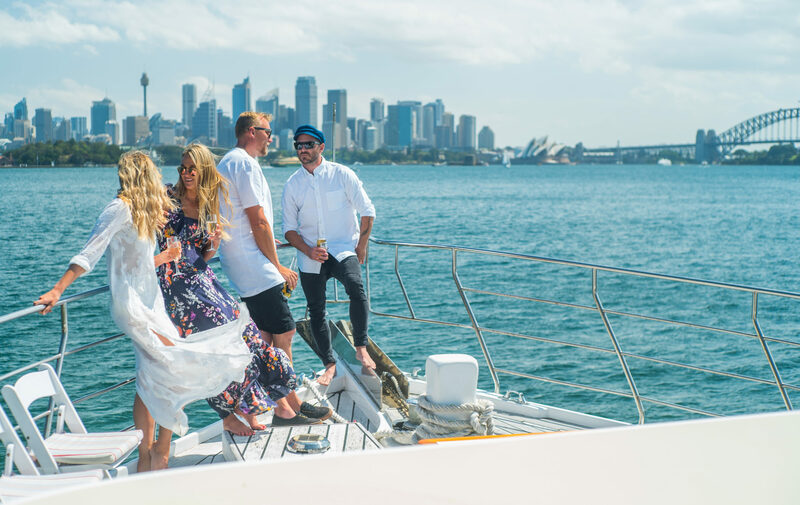 Commissioner 2 accommodates up to 120 guests and is perfect for all occasions on Sydney harbour, from weddings to corporate charters. 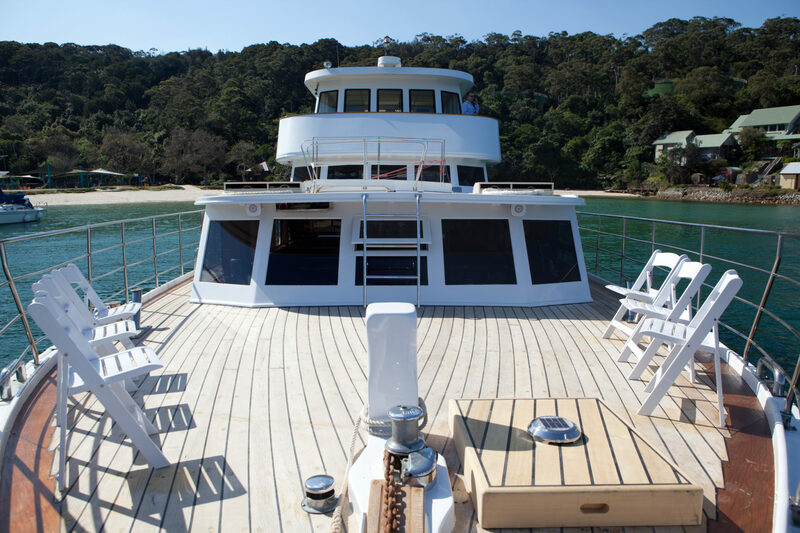 Climb aboard Commissioner 2 and you will experience her expansive deck spaces and multi entertainment areas, one of her main features being her cost sunken lounge with bar or her split level main deck that is surrounded by windows ensuring that guests have an unimpeded 360 degree views of the harbour. 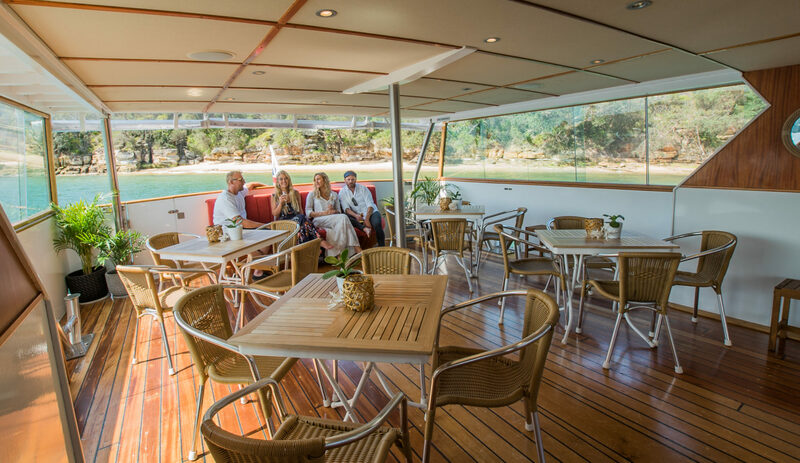 Aboard Commissioner 2 there is an expansive dining area that can be opened up to let the sea breeze in for that al fresco feeling, it is also a fantastic area for a dance floor! 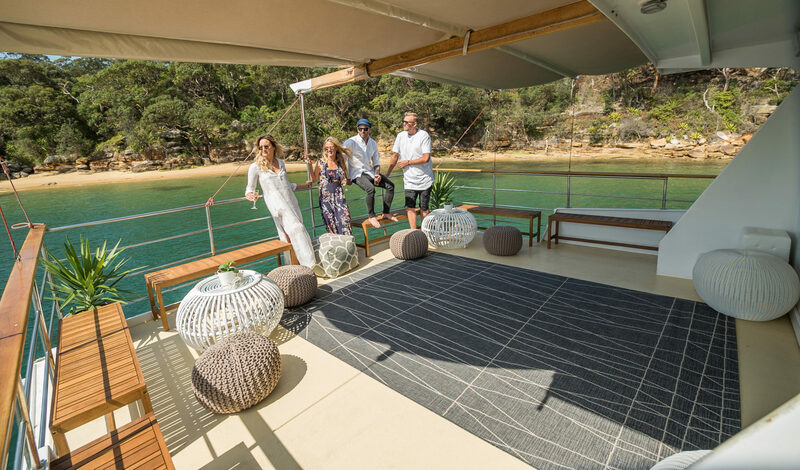 Her upper barge features ancolsed helm leading out to an abundant aft deck that is covered with a retractable shade cloth for those hot summer days, this deck is the perfect vantage point to take in the sights of Sydney harbour. 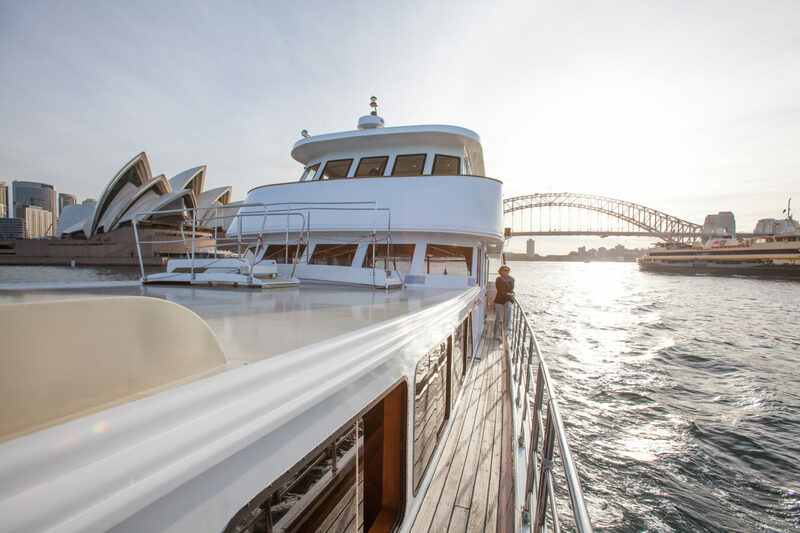 Another fantastic feature aboard is her expansive foredeck which is a fanatic vantage point for sun baking & taking in the fantastic sights of Sydney with friends aboard. If you are looking for a classic motor yacht with all the facilities of a luxury motor yacht look no further than Commissioner 2.